Against a backdrop of nascent electronic music experimentation in 1960s Melbourne, a self-avowed 'amateur' musician became the first Australian to have electronic music released commercially on an international label. Val Stephen, a practising anaesthetist, developed an interest in electronic music in the late 1950s and recorded a large body of work with a range of tools and techniques. Stephen's music, along with his public advocacy of electronic music, was pioneering in regard to the acceptance of electronic music as a legitimate musical concern in Melbourne. Stephen's work reveals a level of diversity in the development of Australian electronic music that is outside both the academy and commercial applications. A 1971 seminar held at the University of Melbourne detailed sporadic progress amongst music departments at both tertiary and secondary levels throughout the previous decade in developing electronic music studios and courses, as well as detailing activity in the private sector where composer/musician Bruce Clarke had been utilising electronic music to compose advertising jingles. Stephen was far from isolated from these academic and industry developments and had several points of contact locally and internationally with both, yet his music was primarily realised outside these circles. The music selected here is from a much larger pool of recordings on nearly one hundred reel-to-reel tapes and twenty-five audio cassettes that formed Stephen's private collection. I examined and catalogued these tapes with John Whiteoak in 2009 whilst preparing an article we wrote together on Stephen that was later published in Musicology Australia. The original tapes have since been deposited at the National Film and Sound Archive. Val Stephen was born in 1919, in Melbourne, Australia, to parents who were both active in the arts. His father, Clive Stephen, worked as a doctor who devoted his leisure time to sculpture and painting. Clive's amateur status did not limit his artistic career, and may have even aided his more experimental leanings, for he became a leader in avant-garde sculpture in Australia. Val's mother, Dorothy Stephen, also painted and assisted Clive with his life classes. Val followed his father into medicine, initially in general practice and later as an anaesthetist, and served in the RAAF during World War II. Stephen had taken keyboard lessons with A.E. Floyd, the director of music at Melbourne's St. Paul's Cathedral from 1915 to 1947. 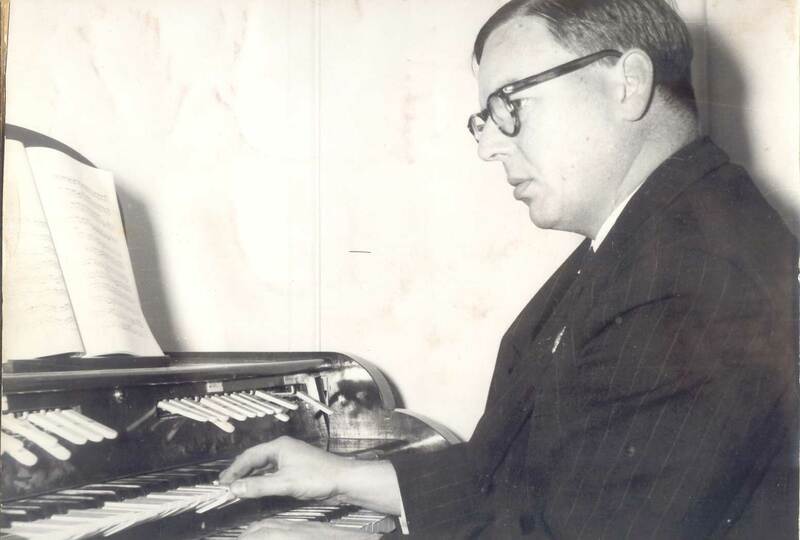 Floyd was known for incorporating improvisatory passages on the organ into church services, and he later presented The Music Lovers' Hour on ABC radio. Stephan encountered electronic music for the first time around 1959 when he asked his friend John Cargher, who at the time managed Rowco Music Lounge in Melbourne, to recommend something unusual. Cargher directed his friend to a series of Deutsche Grammophon Gesellschaft records, featuring discs by Stockhausen, Eimert, Krenek and Koenig. The Eimert disc included a spoken description (in German) of electronic tone generation methods entitled Etude uber tongemische ('Study on sound mixtures'), of which Stephen obtained a translation from a German friend. These recordings, along with an existing interest in electronics (Stephen had two articles published in medical journals in the 1950s on electroconvulsive therapy), led him to create his own electronic music and build some of the related equipment. Although Stephen worked outside of both music academia and musical circles in general, his aforementioned knowledge of the electronic music of European composers from the 1950s is only one aspect demonstrating his awareness of (and sometimes direct contact with) other composers and practitioners in electronic music. His correspondence with F.C. Judd (an English electronic music pioneer) from the mid-1960s onwards provided constructive criticism of Stephen's music and advice on technical aspects. Stephen constructed his first ring-modulator from instructions in Judd's hands-on guide to electronic and tape music, Electronic music and musique concrete, published in 1961. Stephen also appeared on ABC radio several times during the late-1960s and early-1970s, both as an expert on electronic music and also as a host of his own series focussing on this subject, entitled Beyond the Fringe of Music. Stephen later presented a paper on his private electronic music studio at an electronic music seminar held at the University of Melbourne in 1971 where Milton Babbitt was the keynote speaker. Stephen's electronic music output waned from the mid-1970s as he developed an interest in acupuncture. One of the first practitioners of acupuncture in Australia who was also medically-trained, Stephen helped establish the Australian Medical Acupuncture Society in 1974, and later gave up anaesthetics altogether to practiced acupuncture full time. Stephen continued to be involved in radio through his later years, hosting a number of community radio programmes into retirement and up until his death in 1998. - Electronic music - created purely by electronic generators, then treated afterwards in the recording process. - Musique concrete - recordings of everyday sounds or other musical instruments, recorded by a microphone and then treated afterwards. - Computer music - sound generated by computers. Stephen classified music that crossed two or more of these categories as electrogenic music. This term originated in the 1930s as one of several variations of phrases used for newly-developed electronic instruments. The first era of Stephen's music is best defined by the use of tape recorders as the primary means of creating his music, and spans from roughly 1963 to 1972. Stephen began with a small domestic twin track tape recorder (the National RQ703) and a succession of electronic keyboards (including a Schober kit organ Stephen constructed himself, a Univox and a Hammond organ). Stephen achieved multi-tracking on this single mono tape recorder by covering the erase head with cellophane to enable over-recording onto existing material on the tape. In early pieces like "Fireworks" (1963), a significant competence in tape manipulation technique is displayed with the use of tape reversal and splicing techniques. Most compositions from this era technically fall under Stephen's definition of musique concrete as the sounds used originate from natural (as opposed to electronic) sources. Stephen's sound sources from this time largely relied on a level of inventiveness with recording and microphones; he would whistle and breath across the microphone, and rub objects onto microphone's shell to achieve percussive sounds, as well as various vocalisations. In 1967, two of Stephen's early recordings were released on a compilation record issued by the Folkways label in the United States (Electronic Music, FMS 33436). These were Stephen's only commercial release during his lifetime; both recorded around 1963 and sent to various record labels around the same time, the only positive response Stephen received was from Folkways with this eventual release four years later. These two tracks ("Fireworks" and "The Orgasmic Opus) are regarded as the first electronic music compositions by an Australian released internationally on a commercial label. The versions featured here are from Stephen's original tapes. More sophisticated tape recorders were acquired by Stephen as the 1960s progressed, including two Rola 66 twin track recorders (one with an added stereo replay head installed) and a Byer 66 full track. This enabled Stephen to produce stereo recordings using half track recording functions available on these more advanced machines. Later in the decade, Stephen built a white noise generator and a ring modulator from instructions in magazines and books, adding options to his arsenal of electronic tone generation and modulation. Around 1972, Stephen acquired a small analogue synthesiser, which then became his main focus and defines the second era of his music. The VCS-3 ('voltage-controlled studio', also known as the 'Putney' after the London suburb where the manufacturer was located) synthesiser was one of the first of a new range of smaller, more affordable units becoming available during the late-1960s. Manufactured in London from 1969 by Electronic Music Studios (EMS), the VCS3 was the first commercially-made 'portable' (although still very cumbersome and heavy) analogue synthesiser. In Stephen's own words, the VCS-3 opened up a whole new field of musical exploration. No longer restricted by the time consuming tasks of tape manipulation and tone generation, the VCS-3 synthesiser gave Stephen more freedom to explore the electronic music that had concerned him throughout the past decade as he moved beyond what he had defined as musique concrete, in that sound sources were now almost exclusively electronic. In practice, this freedom allowed Stephen to engage in a more direct and intuitive fashion with the elements of electronic music. Stephen’s last electronic music recordings are from circa 1973, after which his spare time became more taken up with his medical practice and later acupuncture. In later years, however, he produced a suite of abstract visual/music works on video tape called Abstract, often recontextualising his father's works in a surreal setting. - Clinton Green, January 2012. With thanks to Gwen Stephen and John Whiteoak for access to the Val Stephen archive.